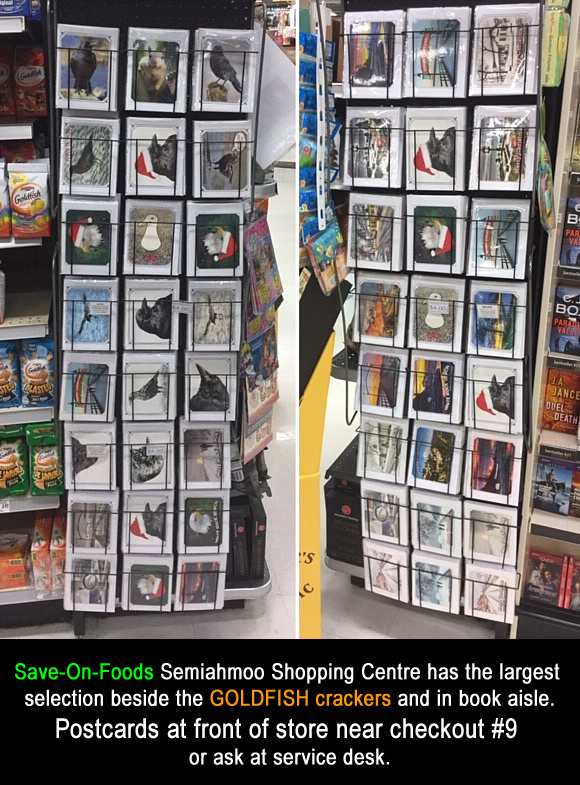 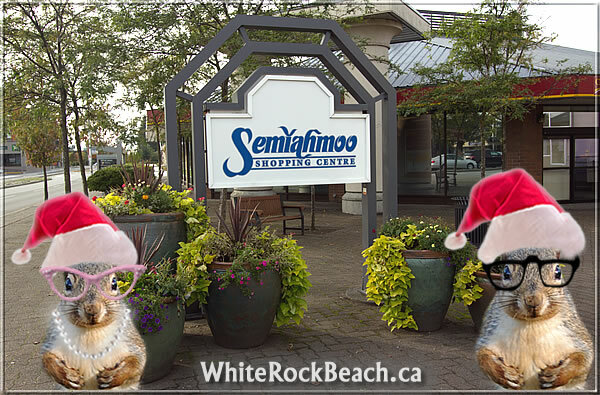 No other place in the WORLD – Mall / Shopping Center or even the North Pole can make the claim Santa CROW, Santa Eagle (Santa CLAWS) and the REAL Santa Claus are ALL found in one location like Semiahmoo Shopping Centre in White Rock / South Surrey, British Columbia CANADA. 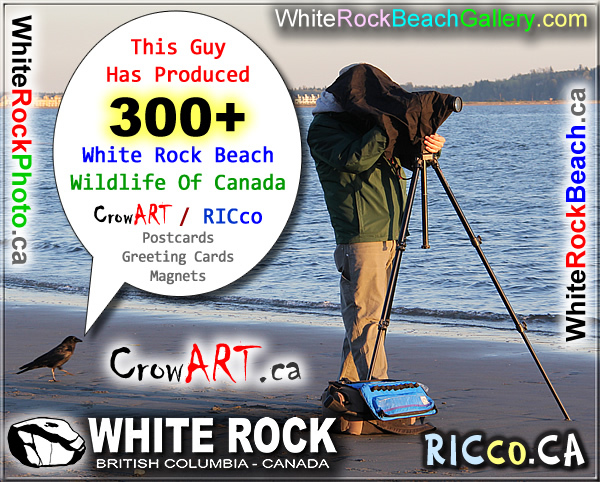 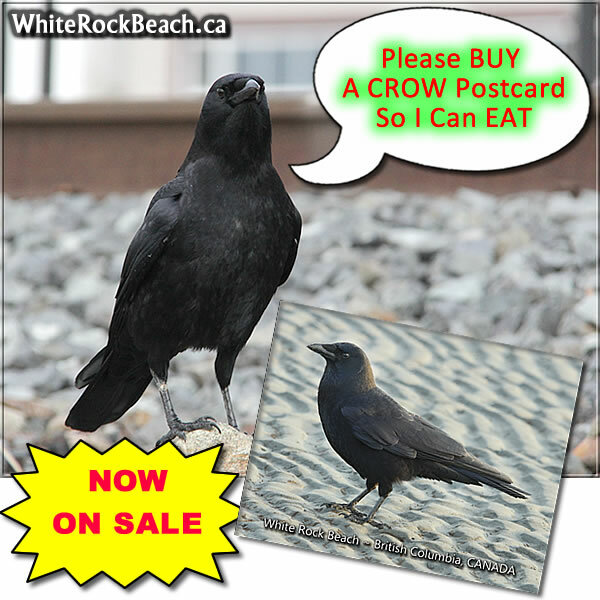 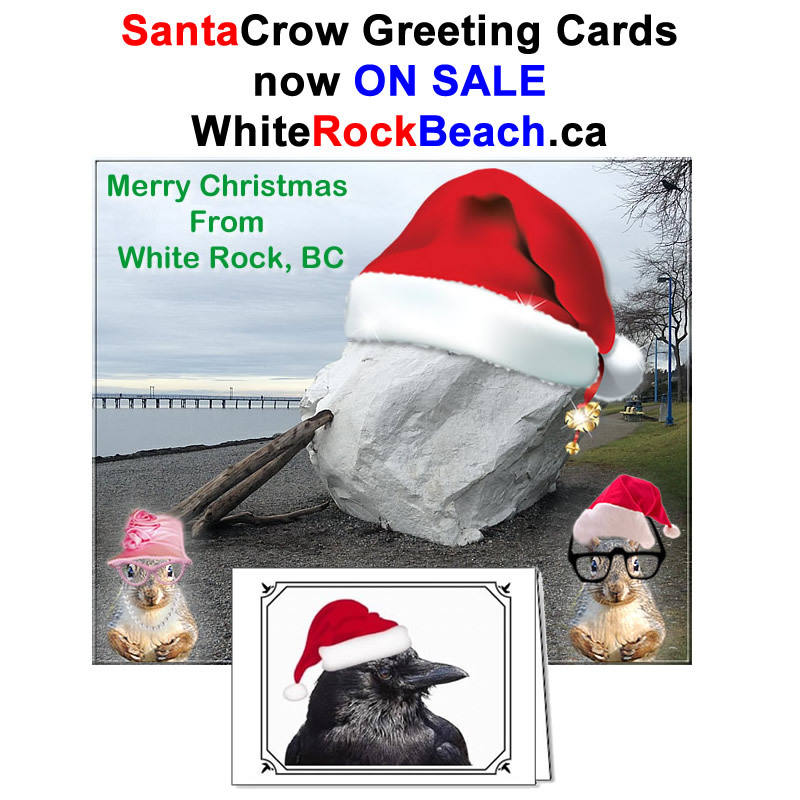 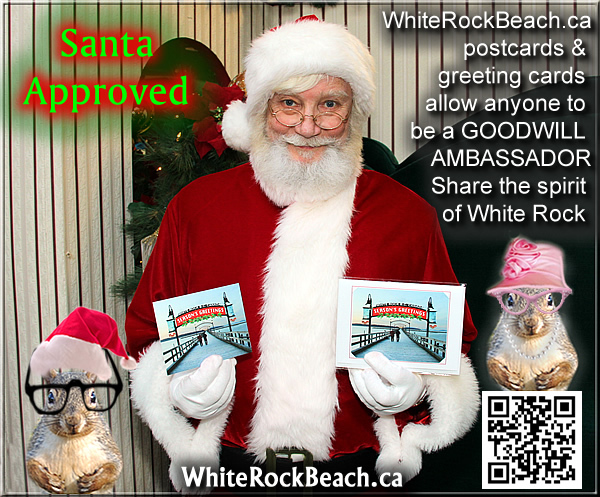 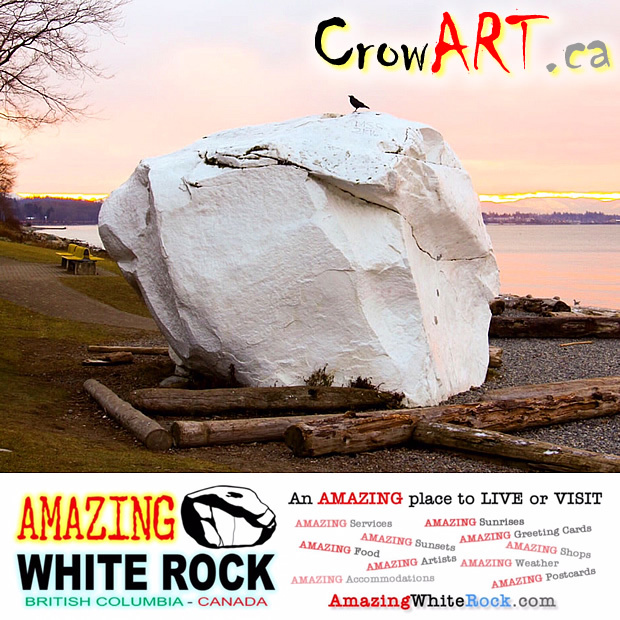 All the WhiteRockBeach.ca, Crowart.ca, RICco.ca postcards and Greeting cards are SANTA APPROVED. 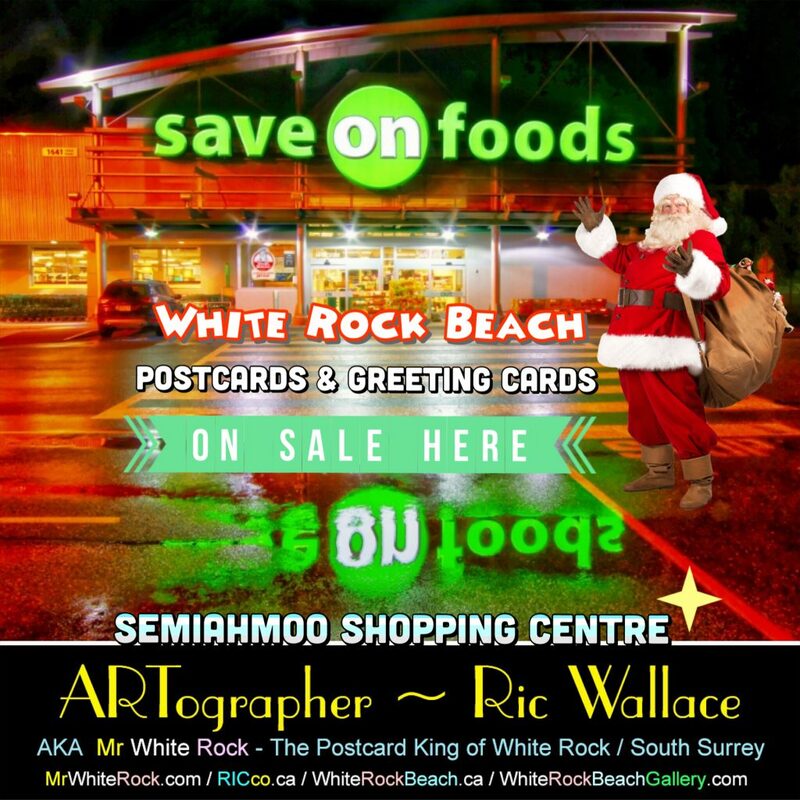 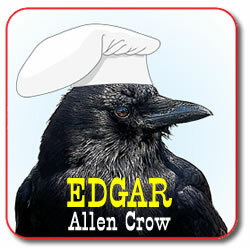 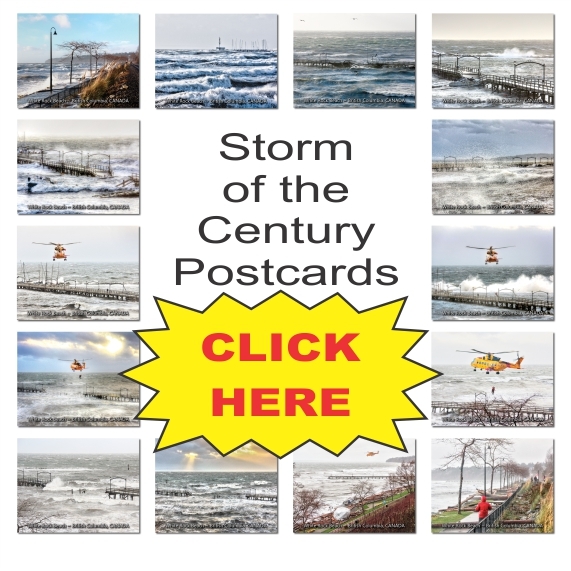 Save On Foods has the postcards near checkout #9 with 40 top selling images. 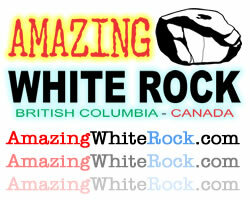 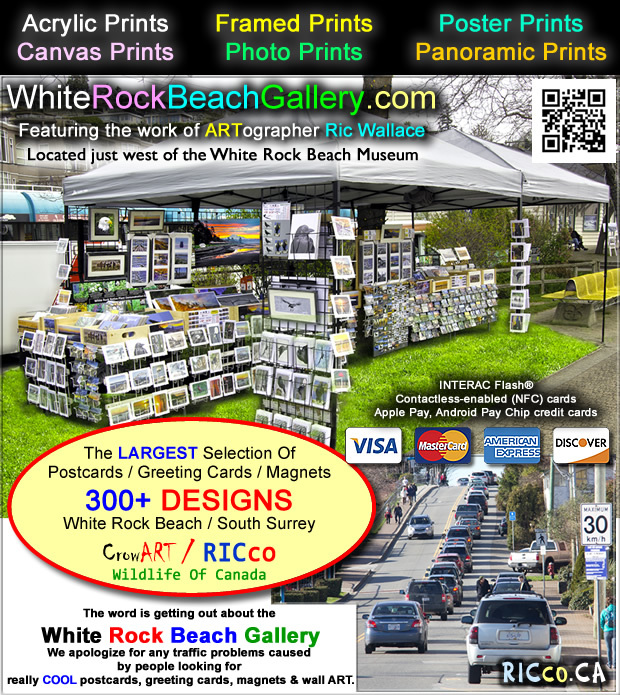 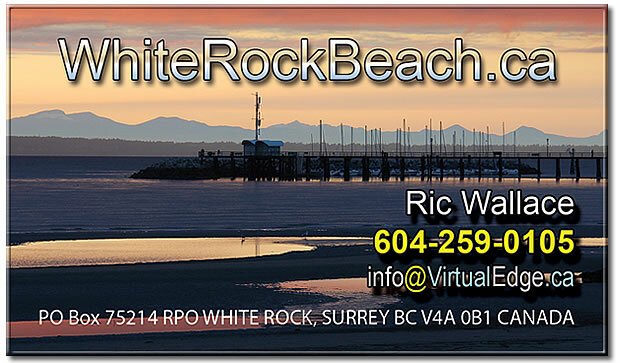 The WhiteRockBeach.ca & RICco.ca are found on a side wing in the book Aisle #9 in the center of the store. 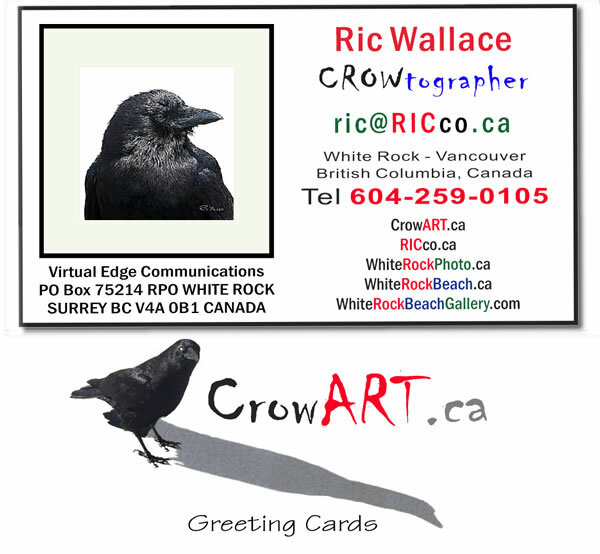 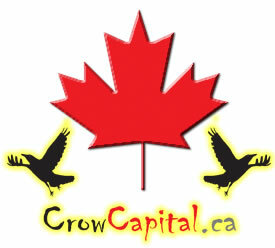 The WildlifeOfCanada.com, RICco.ca and CrowART.ca are in Aisle #8 beside the GOLDFISH crackers. 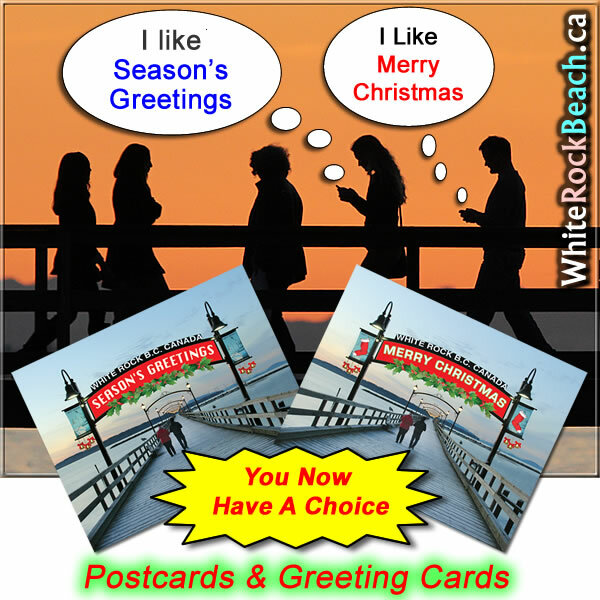 All the winter, Merry Christmas and Seasons Greetings cards will be replaced with the Spring / Summer cards December 26 / Boxing Day 2019. 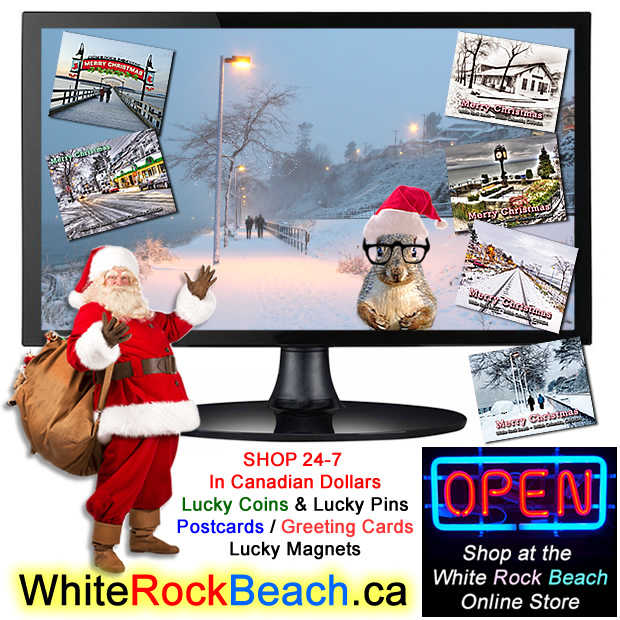 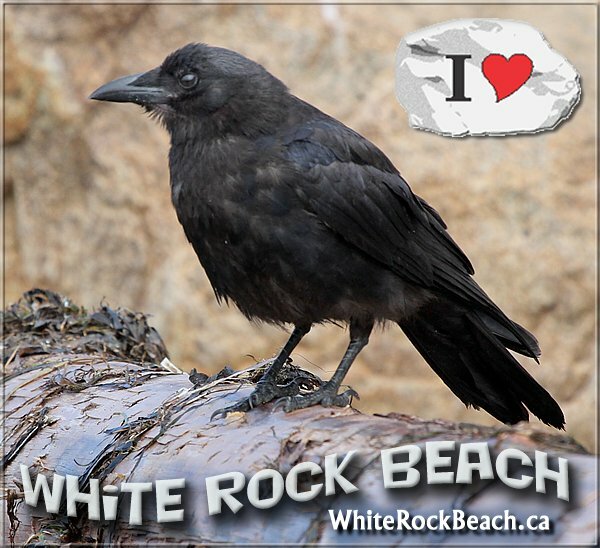 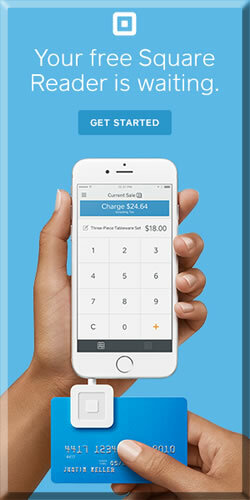 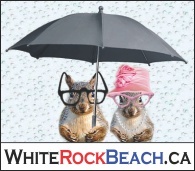 Shop early or online 24-7-365 for access to all cards that are for sale WhiteRockBeach.ca even in off seasons. 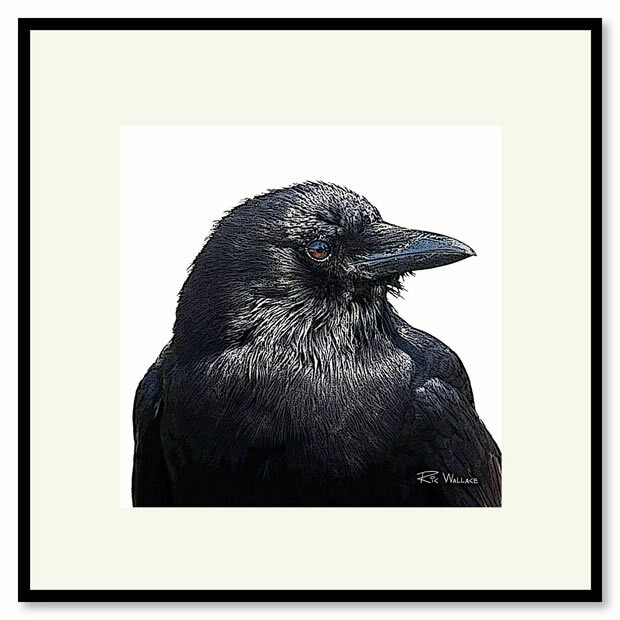 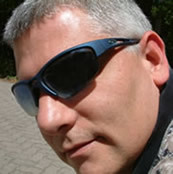 Framed photos which make ideal Christmas gifts are also for sale directly from Ric Wallace. 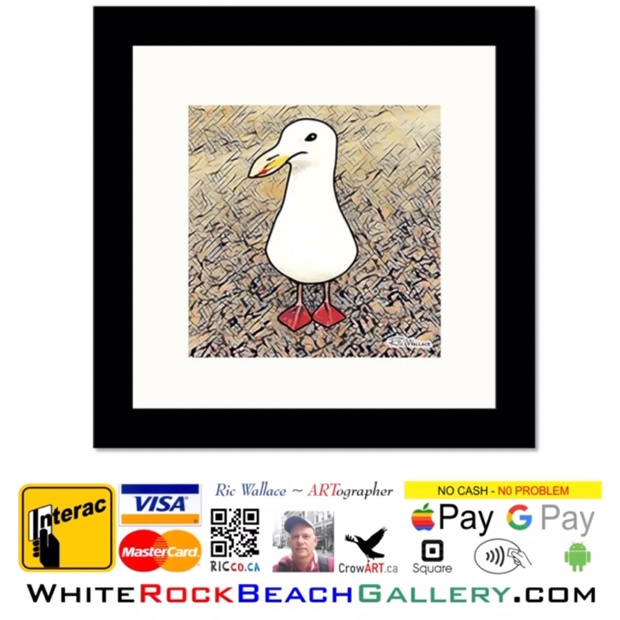 HARRY the Seagull is a very unique bird with his own personality. 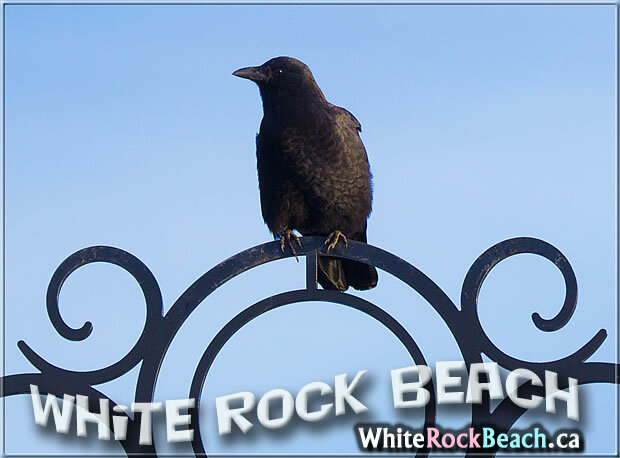 Harry lives at White Rock Beach, British Columbia, CANADA.